With playing that is “fierce and lyrical” and works that are “other-worldly” (The Strad) and “evocative” (NY Times), Jessica Meyer is a versatile composer and violist whose passionate musicianship radiates accessibility, generosity, and clarity. As a soloist, Jessica has premiered pieces for solo viola around the country, and is committed to expanding the repertoire for viola by commissioning new works while also composing her own. A dedicated advocate of new music, Ms. Meyer is the co-founder of the award-winning and critically-acclaimed contemporary music collective counter)induction. 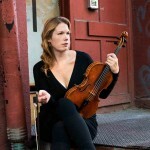 She has also appeared with other engaging new music ensembles in NYC, such as Ear Heart Music, the American Modern Ensemble, the Either/Or Ensemble, and the Argento Chamber Ensemble, as well as ensembles such as the East Coast Chamber Orchestra (ECCO), and Classical Jam. 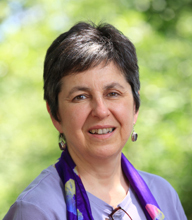 Liane Curtis is a musicologist and the founder and President of both The Rebecca Clarke Society, and Women’s Philharmonic Advocacy, non-profit organizations which are based at the WSRC. A former Fulbright Scholar, Liane has taught at a wide range of colleges and universities, including Wellesley, Ohio State, and (in 2011 and 2007) at Brandeis University. She has written for the San Francisco Examiner, Bay Windows, The Musical Times, The New Grove Dictionary of Music, the National Women’s Studies Association Journal, Women’s Enews, The Gay and Lesbian Review, and other publications. In October 2006, Liane was a Fellow in the National Endowment for the Arts Journalism Institute in Classical Music and Opera. Emerging as one of New England’s most ambitious musical ensembles, the Nautilus Brass Quintet has quickly established a place for itself in the world of brass chamber music. 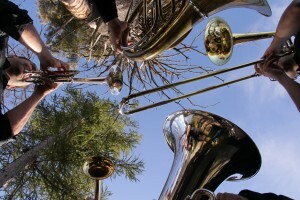 NBQ was founded in Boston, MA in 2010 with the distinct mission to proliferate the performance of original brass quintet repertoire to audiences of all ages. Nautilus has been grand prize winners at the UConn Brass Day competition, prizewinners at the Plowman competition, and finalists in the J. C. Arriaga and Koetsier competitions. NBQ has served as the chamber ensemble-in-residence at San Jose State University’s annual summer music program for young musicians, Summer in the City. Other performance highlights include performing at the 2013 Northeast Horn Workshop, a performance of Eric Ewazen’s “Shadowcatcher” with the University of Connecticut Wind Ensemble, and recitals and educational concerts throughout the eastern United States. “Cuatro Puntos” means “four points” in Spanish, and references the ensemble’s dedication to bringing people from all parts of the world together through music. Musical diplomacy is key to their mission, and they do their part to spread peace and understanding through musical partnerships around the world, while always striving for the highest in artistic excellence.